Looking for a pre-owned Jaguar near Englewood? 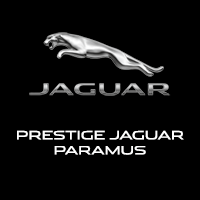 With over 145 used Jaguar cars and SUVs in stock, Jaguar Paramus is the local car dealer for you. Choose from popular pre-owned Jaguar models like a sporty E-PACE SUV or a luxurious pre-owned Jaguar XF. If you’re looking to sell or trade in your current vehicle, we also buy used cars. For Saddle River area drivers looking for the savings that buying pre-owned offers, but also want the benefits of being under warranty, we offer a large selection of certified pre-owned vehicles. With so many used Jaguar and non-Jaguar cars and SUVs in stock, we’re certain you’ll find what you’re looking for in our inventory. Browse our used vehicles for sale online to discover the perfect one to take home to Ridgewood. Once you’ve browsed our used cars in stock, it’s time to take a closer look. Contact us today to schedule your visit to our showroom in Paramus.